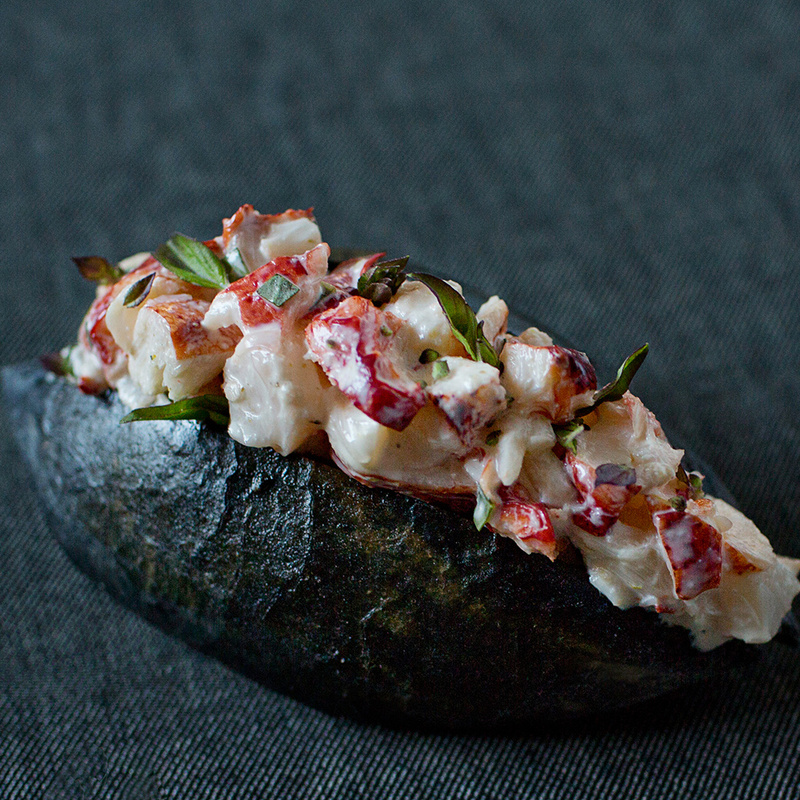 In general, the less you fuss with lobster, the better. That's why our favorite lobster rolls tend to be classic ones. Either served cold with mayonnaise or warm with drawn butter—in both cases, on a New England-style split-top bun. But when a chef devises an out-of-the-box version that actually works, we're all for it. That's the case at Hinoki & the Bird in Los Angeles, whose lobster roll with green curry and Thai basil comes on a black charcoal bun. Let's break that down for you. The bread. The "charcoal bun" starts from a brioche dough, which incorporates the deep black and undeniably intense Japanese charcoal powder. It is one part buttery brioche, one part delicious charred flavor and just a teeny bit of appealing charcoal grit. The filling. Chopped, sweet poached lobster meat bound together by a green curry paste mayo and topped with Thai basil. Where to get it: Hinoki & the Bird fuses boundary-pushing American cooking with influences from across Asia, and nowhere else will you find a lobster roll quite like this one.